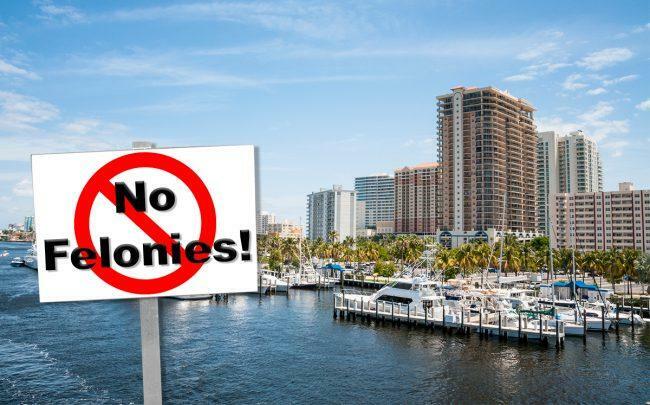 The lawsuit was filed last week in Fort Lauderdale district court by “fair housing tester” Delroy Chambers, who is represented by the Dunedin, Florida-based law firm Social Justice Law Collective. According to the lawsuit, Chambers, who is black, was angered by the ad for the undisclosed property. Joseph Lehman, owner of Miami-based Lehman Properties, said he was not aware of the ad and would not have approved it. He said the company hadn’t been officially served with the suit. “I’m not aware of us not allowing people with any background issue. We do try to keep our company safe,” Lehman said, adding that some residents currently living at the company’s properties have felonies and criminal backgrounds. The suit said Chambers posed as a potential renter responding to the ad, but was told the apartment was no longer available and was directed to another unit. He asked an employee if having a felony would be an immediate bar to renting the property and was told yes, it would, according to the suit. The suit seeks a permanent injunction against discrimination based on race, an unspecified money damage award and attorney’s costs and fees. The Housing and Urban Development Administration issued guidance in 2016 saying landlords could be breaking the law if they refuse to rent to people with criminal records because such a policy would likely have a disproportionate impact on African-American and Hispanic applicants. Lehman is the owner of several multifamily projects in Miami-Dade, including including a 112-unit property at 611 Northwest 177 Street. Chambers has filed similar lawsuits in Central Florida. He filed another housing discrimination lawsuit in St. Lucie County in January against the Villages of Lake Lucie Homeowners’ Association, accusing it of running an ad that said: “If you have any felonies at all they will not approve your application so please don’t waste our time.” According to court records, that case was settled quickly.